What types of trips does Just Escape Travel offer? Customized travel escapes. All itineraries reflect the traveler’s curiosities, preferences and travel style. We inspire travelers to escape the ordinary. Are there any trips Just Escape Travel does not plan? How much will my escape cost? Why aren't costs listed on the sample escapes? The cost of each escape will vary on the traveler. We believe in maximizing experiences rather than focusing on costs. However, it is important for us to create escapes within your desired budget. How far in advance do I need to book my escape? At least a month before your travel dates. We believe details matter so we encourage our travelers to book at least 5-9 months in advance. Why are costs not itemized? Itemized cost breakdowns are not available, and all products and services are sold as a complete customized package. For this reason, it’s important to discuss any budget-related goals or constraints before we get started. Does Just Escape Travel book flights? We don’t book flights ourselves but we have partnered with an air consolidator for all your ticketing needs. If you prefer booking your flights on your own or with miles we can recommend routing and carriers. 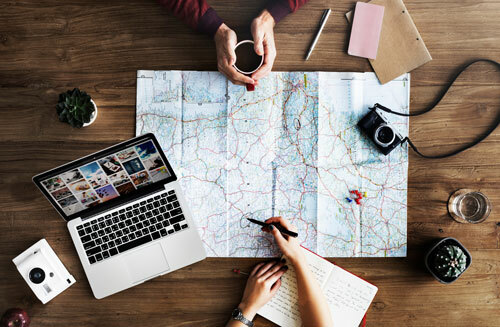 Just Escape Travel recommends that you purchase a travel protection plan to help protect you and your travel investment against the unexpected. Travel protection plans include coverage for Trip Cancellation, Trip Interruption, Emergency Medical and Emergency Evacuation/Repatriation, Trip Delay, Baggage Delay and more. Contact Just Escape Travel at #800-815-7578 to learn more about how to help protect you and your trip investment. Will the 24/7 travel assistant phone # be provided and when? Before your departure, all in country and emergency contact numbers will be listed clearly on your final travel documents. It depends on where you are traveling and your vaccination history. Please visit www.cdc.gov for all current required and recommended vaccinations. If you still have questions, visit you local travel clinic. It depends on where you are traveling. For US citizens, tourist visas are required for entry into Australia, Cambodia, Vietnam, and Bali to name a few. For all visa details please visit the state department. Cancellations fee’s depending on how much written notice is given prior to your departure date. *Operators, resorts and hotels may have cancellation policies that carry additional penalties; especially during holiday and peak travel periods. Just Escape Travel will advise any additional cancellation policies that pertain to your escape. Airline tickets carry strict cancellations policies and restrictions will vary. Is there a discount for children traveling? Possibly, depends on the age of your child and if the specific air carrier, hotel, or tour operator extends child rates. Do I need an electrical converter and adapter? Different adapter plugs might be required based on the country you are traveling to. Yes. Airline carriers charge for excess weight limit and each carrier has a different luggage restriction based on the class of service. Be sure to check your carrier’s website before traveling, so there are no surprises. We will provide you with a packing list to reference but for a current forcast please visit weather spark or weather channel.